INTRODUCTION: The field of affective neuroscience, initiated by Panksepp and Ledoux, embraces the concept that emotional processes are based on brain structures that operate in parallel with cognitive processes, and can thus influence behaviour independently of cognition. Emotional and Cognitive Processing: The authors envisage two interacting brain circuits, the first involving cognitive processes, and the second feelings about cognition. Most of 20th century thinking on cognition was hampered by its lack of emphasis on emotion-related brain functions, and its over-emphasis on computational operations, learning and memory. The new approach to emotions posits the activity of particular interacting brain structures. The authors refer to this as ‘core affect’; This is defined as neural changes determined by the detecting and processing of internal and external stimuli. Feelings are defined as the subjective outcome of these stimuli, notably in the form of experienced pleasure and pain, with affective states defined as experienced happiness and sadness. Feelings are viewed as fundamental values for the modulation of both cognition and behaviour, and are thus seen as playing a key role in the causal chain of events. Internal feelings allow categorisation of signals from the external environment, which is subsequently adaptative for guiding behaviour in this environment. The authors have developed what they call the Endogneous Feedback Network (EFN) to account for the processing of emotions and cognition. Allocation of attention towards specific segments of the brain’s information flow is suggested to be related to such conscious feelings. Feelings are viewed as mental short cuts linking the assessment of stimuli to particular responses or meanings, prior to the more time consuming process of cognitive assessments. Emotions also effect the attentional resources given to particular stimuli, with the subjective experience of the stimuli suggested to play a role in the selection of stimuli for attention. Le Doux outlined the concept of two routes in the brain. A quick route from the thalamus to the amygdala, by-passing the processing of the cortex, and striking straight at the amygdala, to generate a rapid response. The amygdala is particularly involved in the processing of fear, anxiety and negative emotion. The second route goes via the cortex and can take advantage of the analysis of the stimuli. An initial negative response may thus arise in the amygdala without involving conscious perception of particular external stimuli. However, the subsequent arrival of such conscious perception via the slower cortical route may disperse the initial negative or fear response. 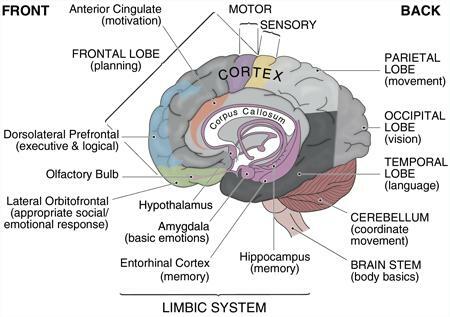 The induction of emotional states has been shown to correlate with activity in the lateral prefrontal cortex (Braver, Cohen and Barch, 2002), while other studies have shown the shown the role of the orbitofrontal cortex in emotion-related learning. 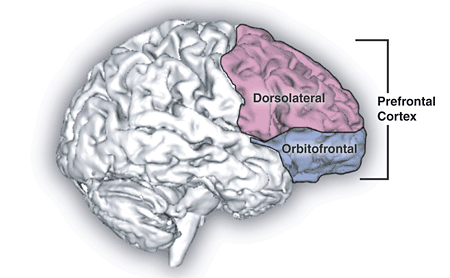 The lateral and medial orbitofrontal cortex are involved with reward and punishment. The lateral orbitofrontal is associated with aversive outcomes, and the medial orbitofrontal is associated with reward (O’Doherty et al, 2001). The orbitofrontal in particular is seen to be essential to changing what has been previously learnt, in response to new experience. Beer et al (2006) argues that the orbitofrontal has a significant role in the interaction between emotion and cognition. Some emotions are seen as having selective effects on cognition, and on subsequent goal-directed behaviour (Gray 2001). Empathy, belief, moral reasoning and decision making are seen as based on a melding of affective and cognitive processing. 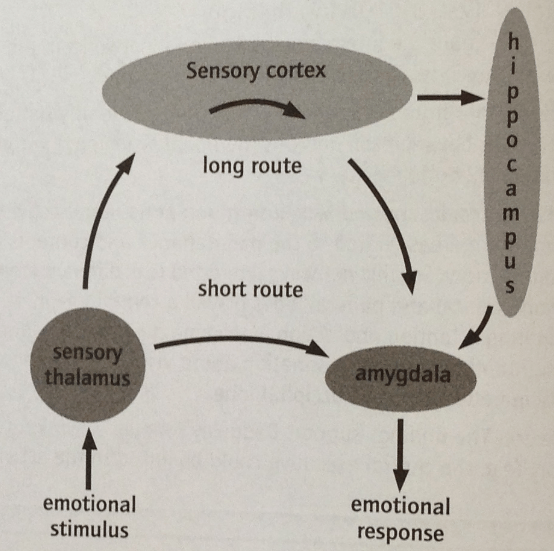 Emotions and conscious feelings are viewed as playing a role in stimuli-response integration.